But even its creation, taking place as it did shortly after the Civil War, was roiled by a racial dispute. The initial push for a library began with a meeting of the city’s “young men” in November 1865, but the idea had broader appeal, and the Springfield Library Association was formed later that month. “The establishment of a public library in Springfield will exert an influence for good which will be felt in every walk and rank of life throughout the entire city,” the Illinois State Journal wrote in December 1865. By Jan. 25, 1866, library association funds amounted to $4,200. However, controversy boiled up in the columns of both the State Journal and its competitor, the Illinois State Register, a few days later. The Register started the dispute by attacking plans to bring the famous black activist Frederick Douglass to Springfield for a speech. Proceeds were to benefit the library. The idea put a radical Republican spin on the infant library organization, the Democratic-aligned Register charged. But the editors revealed their real objection in an article Feb. 12. The sponsors of Douglass’ speech retorted that they, not the library association, had engaged Douglass; they simply had offered the proceeds to the library. The controversy cost the library association some donations, although when Virgil Hickox withdrew his promised $50, three black Springfieldians pledged to replace the money. The library board quickly amended its bylaws to promise it would be nonpartisan in all things. 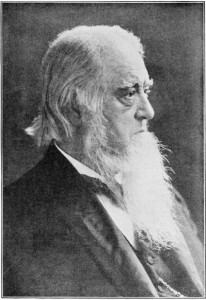 Samuel Willard, an educator, former physician and pre-war abolitionist, was named librarian on Feb. 1, 1867, when the library opened to subscribers. Its 1,300 volumes were available from 2 to 5 p.m. Mondays, Wednesdays and Saturdays and 7 to 9 p.m. Wednesdays and Saturdays from two second-floor rooms in the 400 block of East Washington Street. Willard signed regular newspaper advertisements seeking stockholders, subscribers ($50 lifetime, $5 annually) and book donations. A book could be checked out for two weeks; overdue fines were 2 cents per day. The library moved in 1870 to the 600 block of East Monroe Street, after the first floor on Washington Street was rented to a saloon. “Our lady patrons at once began to desert us,” the Rev. F.H. Wines, one of the library’s founders, said in 1872. Willard remained librarian even after being named Springfield school superintendent in August 1869, but he resigned both posts a year later to begin teaching in Chicago. Wines credited the library’s early success mainly to Willard. The library became part of Springfield city government — and therefore tax-supported — in 1886. See below for other important dates. More information: Lincoln Library has a synopsis of its history on its website. See also Lincoln Library Carnegie building, this index. This entry was posted in Abolitionism, Arts and letters, Local government, Prominent figures, Social services. Bookmark the permalink.